Compact Crossovers are a very hot commodity right now. With fuel efficiency high on everyone’s priorities while still wanting SUV style bodies, the perfect answer is a compact crossover. With prices that are significantly lower than their SUV counterparts in styles that are modern and young, finding a crossover to fit your budget has made buying a car online the best part of your day. 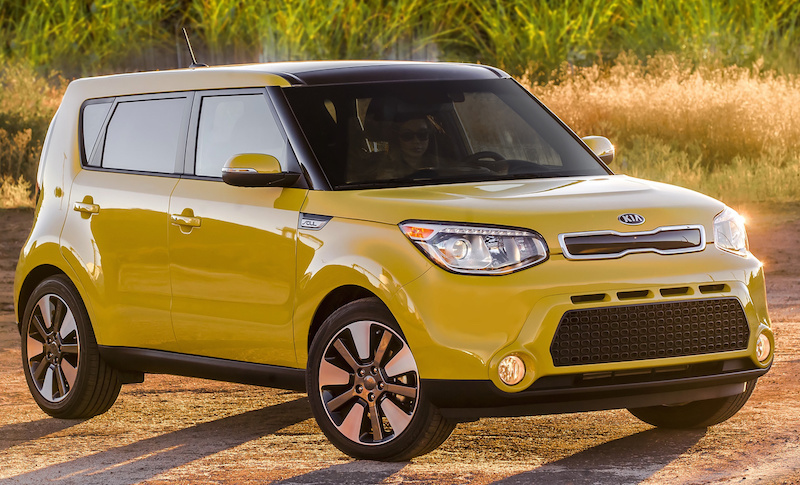 When the standard features of the Kia Soul Base include Gamma 1.6L I-4 engine with 130 horsepower mated to a 6-speed manual transmission with overdrive and 4-wheel anti-lock brakes, you know you’re getting into a great little crossover. Getting an average fuel economy for its class, 24/31 mpg, it doesn’t have the power to push through that most drivers want in a crossover, regardless of its size. Updated safety features include side seat mounted airbags, curtain 1st and 2nd row overhead airbags, airbag occupancy sensor, ABS and driveline traction control as well as electronic stability. Coming in at a base price of $15,190, this hugely affordable Crossover is very hip with the younger, urban families. Holding true to the Mazda name, the CX3 delivers a lively and spirited drive while being one of the most stylish compact crossovers in the segment. Providing a long list of standard features including a 4 cylinder engine that provides some of the best fuel economy in its class (29/35 mpg city/highway), all experts and critics say the Mazda CX3 is a great purchase for anyone. Even as a compact crossover, there is plenty of room for all adult passengers to appreciate the comfort of the sporty ride. It’s user-friendly infotainment system proves that Mazda caters to the driver and wants to keep its interior plush with premium features even though it’s priced otherwise. Starting just under $20,000 you can choose your level trim up to $27K. Powering this Japanese princess is the same turbocharged 1.6L inline-four as its predecessor, however it still provides more power than most in its segment delivering 188 horsepower and 177 lb/ft of torque. Offering two drive modes: Normal and Sport, when used correctly will boost the amount of power pushed out making the drive quite entertaining. Although the styling is different for Nissan, it’s not unusual for a compact crossover. The 2015 Juke comes standard with more features than most in this segment including a backup camera, Intelligent Key with a pushbutton start and Bluetooth connectivity. For a base model to offer normally higher-trimmed features will start at $20,250. Coming standard with a 4 cylinder turbocharged engine, a larger 4 cylinder is also offered but some say that sticking with the turbocharged is the way to go as the larger engine gets a bit loud in the smaller cabin. Mated to either a 6 or 9-speed transmission, the 2016 Fiat 500x earns average fuel economy, 25/34 mpg. It’s small and sporty handling make driving it a very fun experience as it takes corners very well and zooms in and out of traffic with spirited acceleration. Standard safety features include 4-wheel anti-lock brakes, side seat mounted airbags, curtain row overhead airbags, driver knee airbag along with an airbag occupancy sensor. Available in higher trim levels is an 8-speaker Beats audio system. Buyers will find the under-floor cargo storage compartments and adjustable cargo shelf helpful and appreciated. For a compact crossover, this European beauty starts at $20,000.